2017 was a special year for Allegheny Equine. It marked 25 years since Dr. James Zeliff founded the business as a solo practitioner. The practice has grown and expanded services over the years and we took this opportunity to reflect on where the business started, how far it has come and to celebrate Dr. Zeliff’s success. Dr. Zeliff grew up on a farm in northern New Hampshire. Inspired by one of his favorite author, James Harriot, he knew from an early age that he wanted to become a veterinarian who “did it all”. He grew up riding horses on the farm but it wasn’t until working a summer internship at an equine veterinary clinic that he realized he wanted to be a veterinarian who specialized in horses. 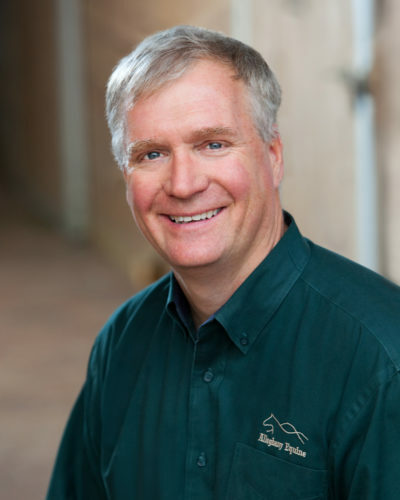 Dr. Zeliff attended Purdue University for both his undergraduate and veterinary degrees. While there, he also met his future wife, Dr. Tammy Miller. 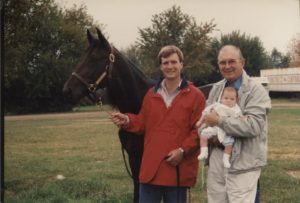 In March of 1992, with a blue Ford F150 and a used vet box he had picked up in Kentucky, Dr. Zeliff started his own ambulatory practice, Allegheny Equine. He remembers convincing himself to branch out on his own and starting his own veterinary practice was the toughest decision he ever made. At first, the practice was run from his home and Dr. Zeliff traveled to his clients. After a year, he hired his first staff member, and in 2001, hired his first associate veterinarian. During these early years, he developed and honed his skills in reproduction, sports medicine and lameness. He worked long hours to build up the practice’s reputation and clientele and with his wife Tammy raised three children, Dustin, Ali and Haley. By the summer of 2009, Dr. Zeliff had added two associate veterinarians, several office staff members and he built the clinic to house his growing veterinary practice. Now, in 2018, Allegheny Equine is a 5-doctor practice that offers clients advanced diagnostics and treatments at our haul in clinic and ambulatory services to clients within a 40 mile radius of the clinic. What has been some of your most memorable moments in your career? 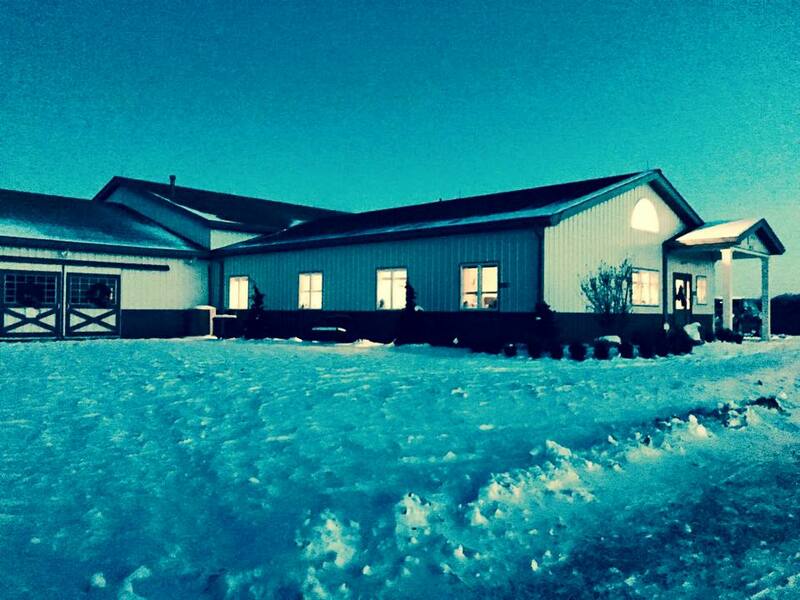 “Opening the clinic was a very big milestone in the building of Allegheny Equine. I’ve had the pleasure of meeting and working with many horses, but one of the most memorable was ‘American Winner’, a Standardbred stallion who won two out of the three legs of the Trotting Triple Crown. We still take care of him today in his retirement. What is the most rewarding part of your job as owner of AE? What was the most valuable advice you were given regarding business? What advice would you give to a young person wanting to become a vet? Dr. Zeliff admits the most challenging part of being a business owner and employer is finding the right “team” that all have the same core values and goals. By finding veterinarians and support staff that believe in a common goal, this has allowed Allegheny Equine to thrive and provided Western PA with exceptional equine veterinary care. 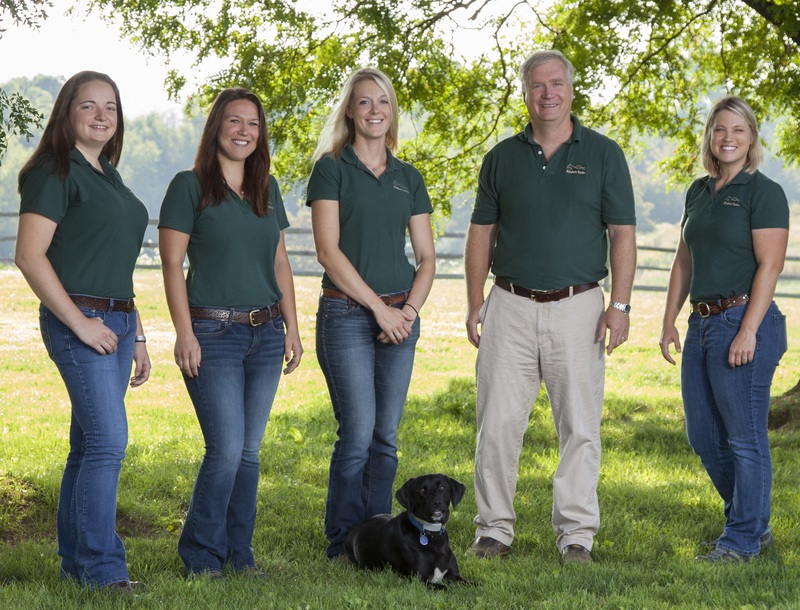 Looking back on the last 25 years, Dr. Zeliff is pleased to have a job he loves: making farm calls, meeting clients and developing a business he hopes will continue for another 25 years. Looking into 2018, we are excited to announce that Dr. Nadine Salomon has joined Dr. Zeliff in ownership at Allegheny Equine. Dr. Salomon started with Allegheny Equine as an associate veterinarian in 2011. She and Dr. Zeliff have cultivated an environment among the veterinarians that promotes collaboration, team work and excellence in patient care.